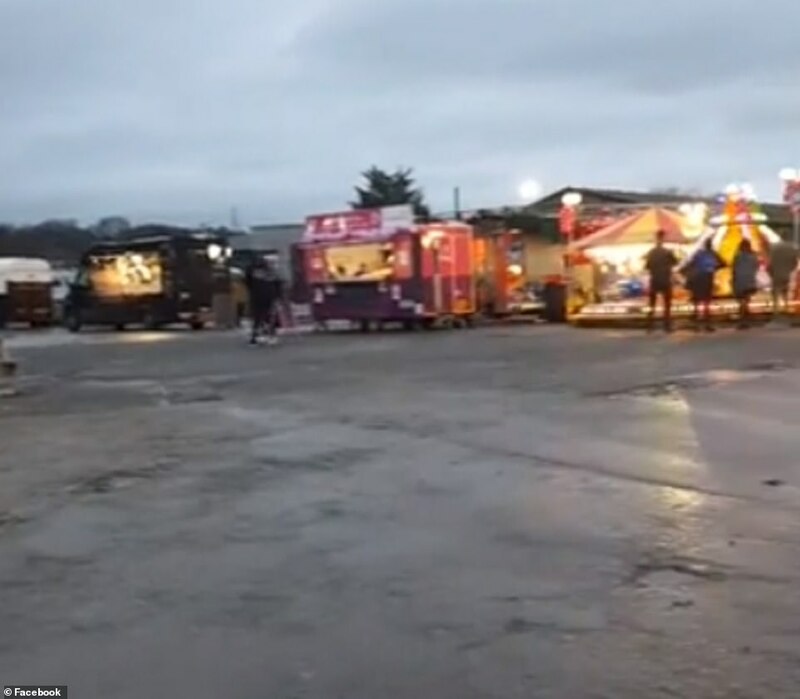 A Christmas market which promised to bring festive magic to families near Bath has been branded a ‘winter blunderland’ after organisers failed to deliver. 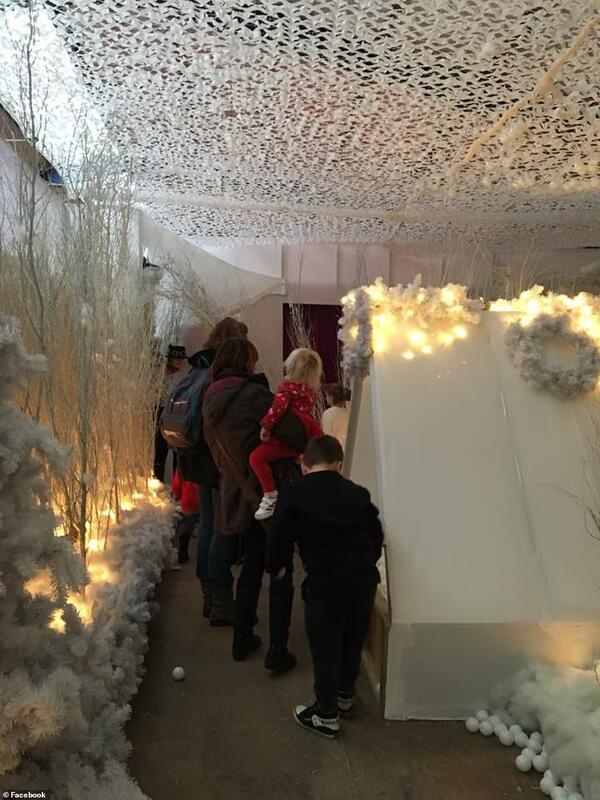 Santa South West Christmas Village at Shepton Mallet promised visitors ‘a forty five minute grotto experience like no other’ – along with a pantomime and fairground – but visitors said in reality it was a six-stall flop with a ‘broken snow machine’. 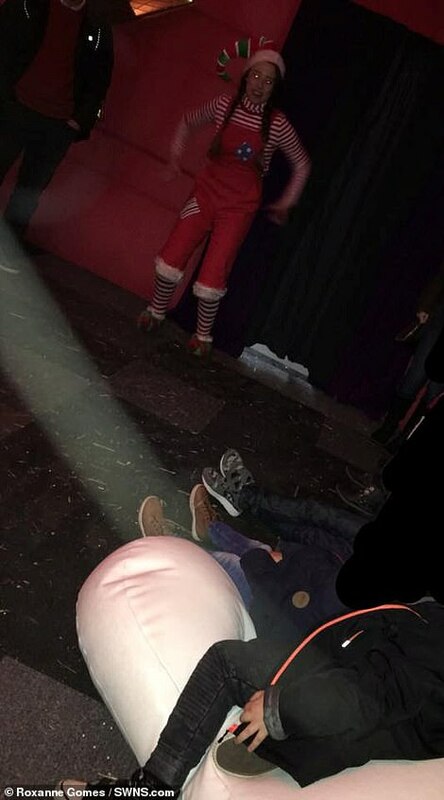 Visitors to the ‘magical Christmas experience’ which runs from December 1 to 16 have slammed the attraction as ‘grim’ – although some contrasting reviews said it was an enjoyable day out. 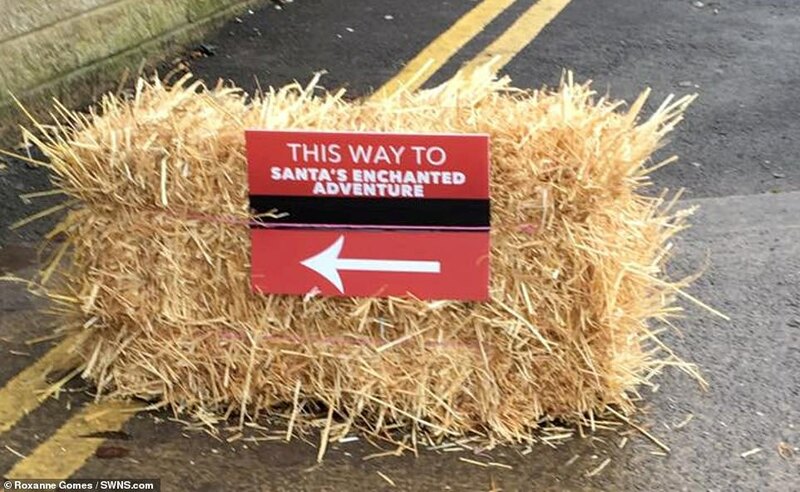 Santa’s Enchanted Adventure, decorated wooden chalets, meet and greets with Lumi the Unicorn Princess and the snow-dusted funfair were so disappointing – some sellers packed up and left within hours, it was claimed. 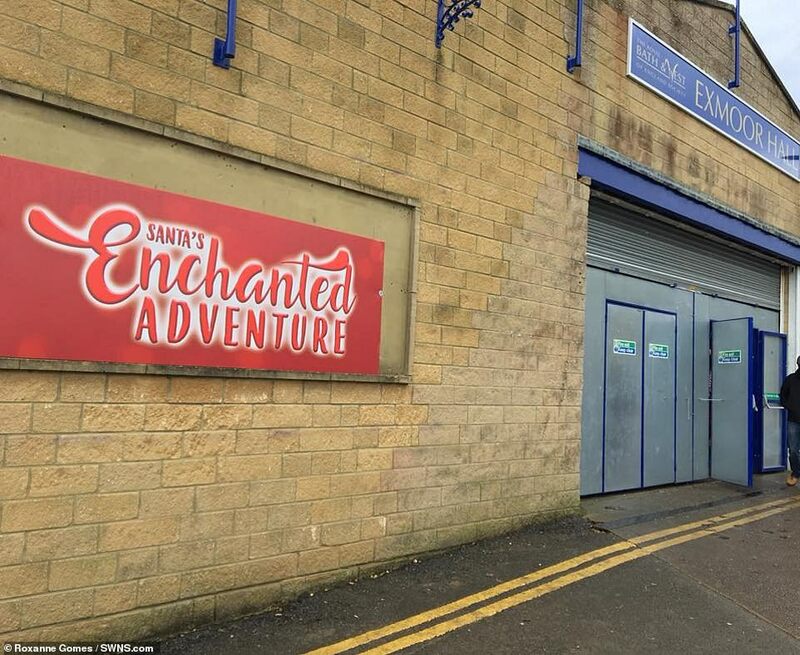 Roxanne Gomes said she paid over £112 for her family to experience a few of the activities on offer, but was left gutted when it didn’t match the adverts. 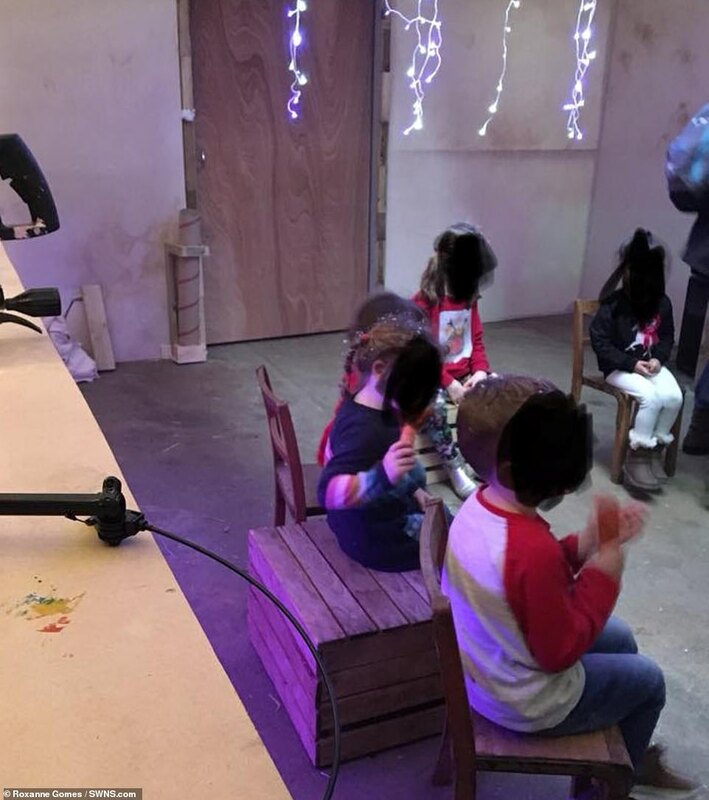 She accused organisers of ‘conning families out of their hard-earned cash at the most precious time of the year’ by ‘offering a highly over-priced and falsely advertised ‘magical Christmas’ event that was no more than your local school fair could offer’. Others were furious about the price. Although it was only £1 to see the market the other activities were paid extras. 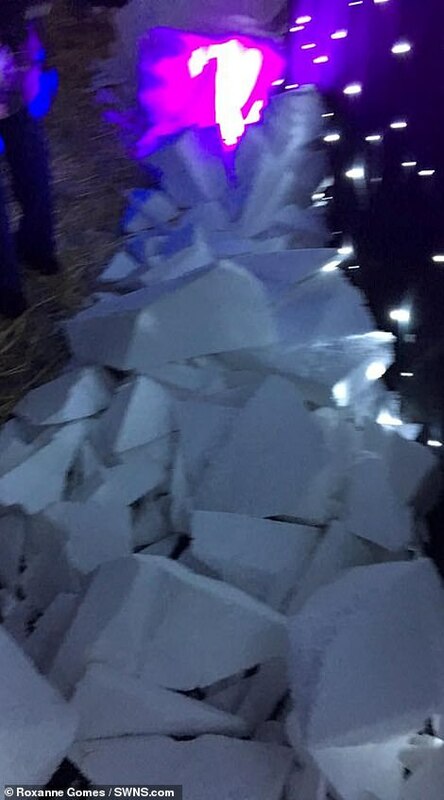 According to the event’s website – entry to the village plus ice skating and Santa adventure costs £107 for 2 adults and two children aged 3-15. 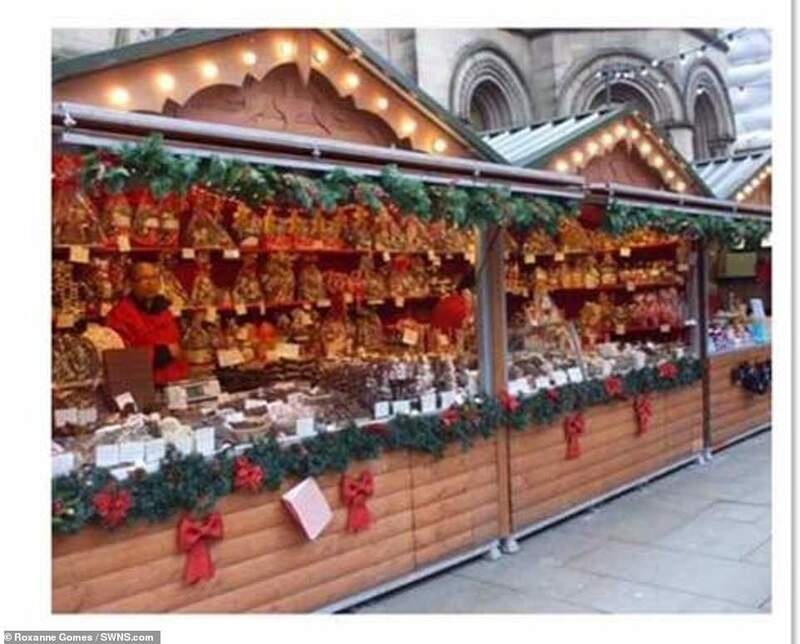 Trader Sophie Futcher, 25, has been working at markets and events for almost four years with her business Sophie’s Cakes – and had a stall there. 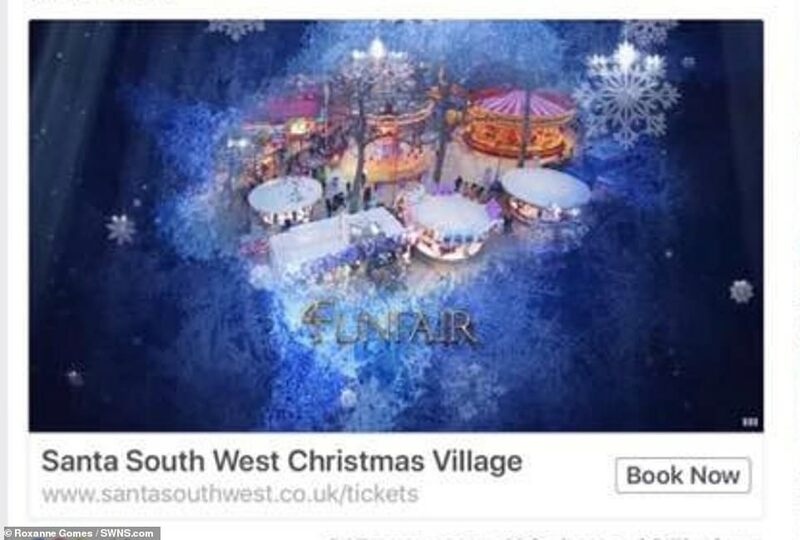 She shared a video of Santa South West Christmas Village, which opened on Saturday at the Royal Bath and West Showground, looking distinctly un-magical. ‘It was such a disappointment,’ she said. 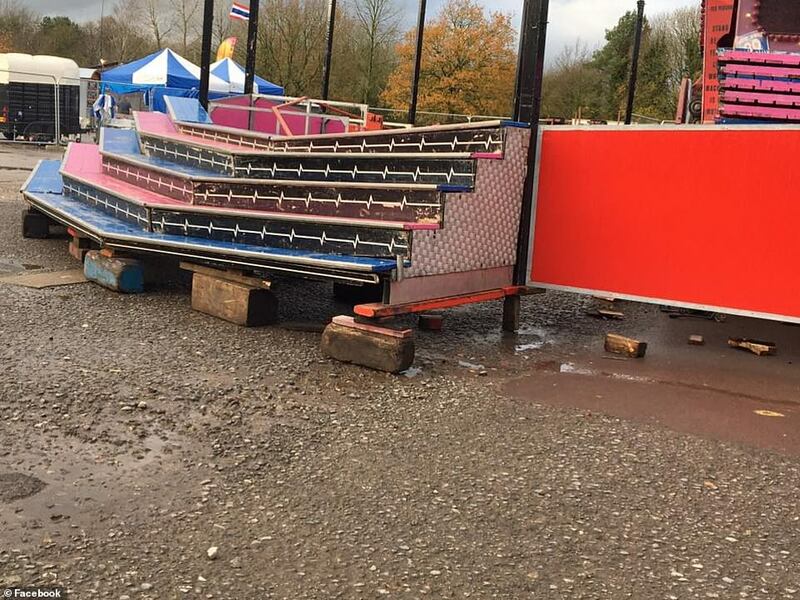 ‘It was basically an indoor market, there were six fairground rides and a snow machine which broke on the Sunday. 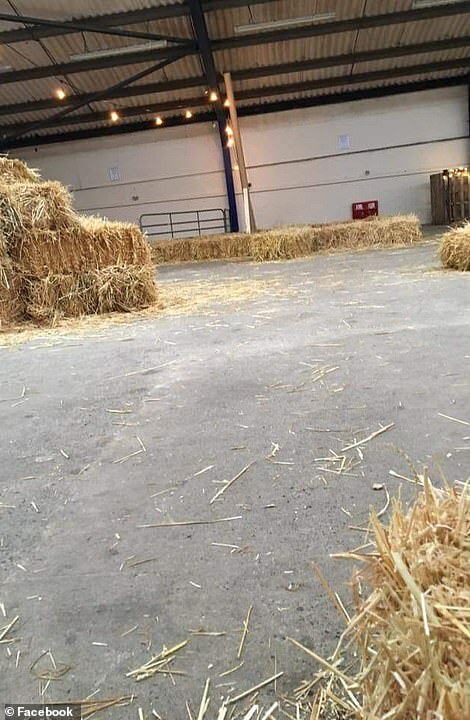 ‘I paid £196 for a pitch and I’ve spent into the thousands on stock, decorations and preparing for this event since they told me I had a pitch back in August. 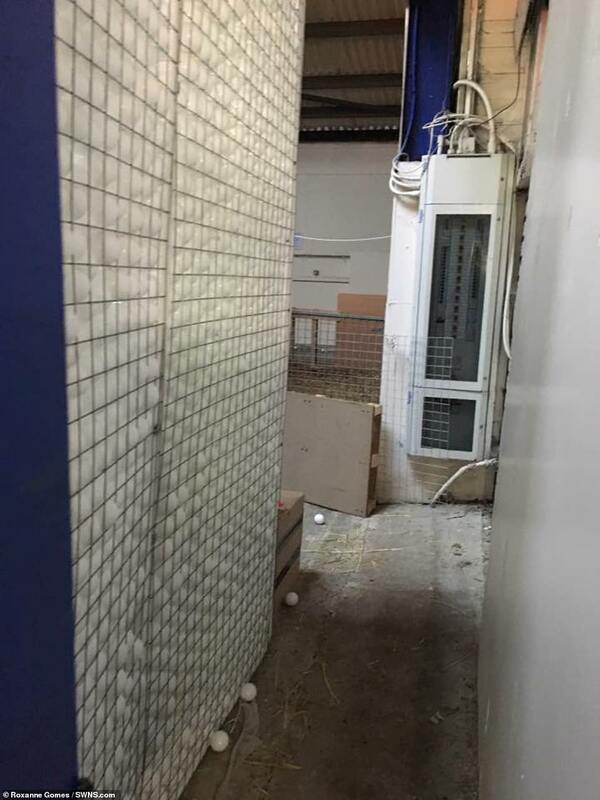 Sophie reported disappointed traders, some of whom had paid almost £2,000, leaving during the opening weekend after they realised the event was nothing like what had been promised. She said: ‘I was expecting wooden chalets, all decorated, like the pictures on their Facebook page, but there was none of that. 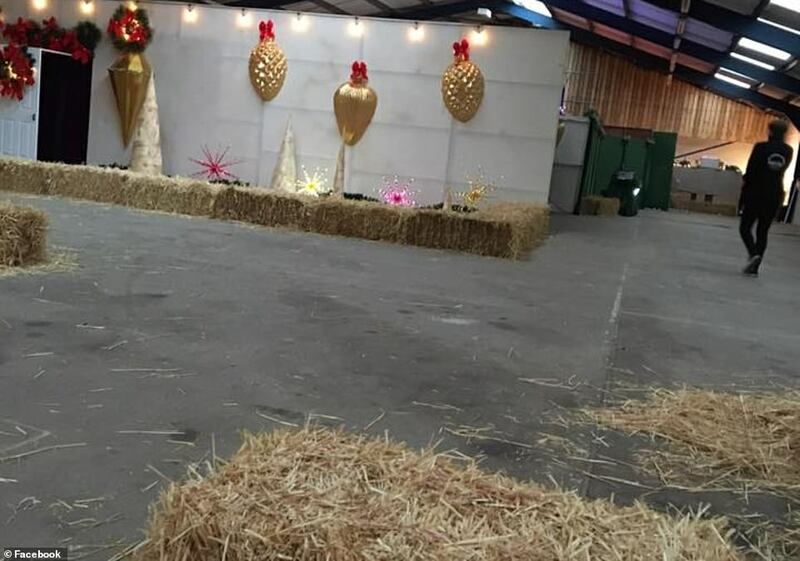 ‘The traders themselves made a real effort to decorate the stalls but I feel like the organisers had this vision and no idea how to achieve it. 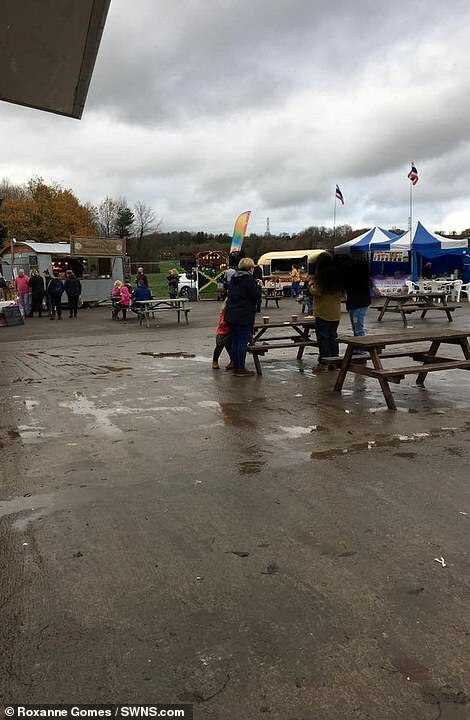 However, other visitors said it was an enjoyable day out. Hannah Morton said: ‘Had SO much fun exploring the marketplace – it’s lovely to see local businesses being supported and promoted (especially the sweet potato alcohol stand!) The Grotto was brilliant with fun, dedicated actors, and the look on the childrens faces was worth every penny! Comments online have referred to the event as ‘c***land’ and ‘blunderland’. The organisers have been contacted for comment.